Here is a very special 2016 BMW 550i x-Drive M-Sport package. Finished with a Carbon Black Metallic exterior and Mocha exclusive leather interior. Driven just 37,665 careful miles since new. Options on this 550i include the x-Drive all wheel drive system, M Sport package, M Aerodynamics package, Comfort Seats with memory, heated seats, leather covered dashboard, Ash Grain wood trim, Ambient Interior lighting, Head-Up display, Harman Kardon sound package, surround view, adaptive headlights, heated steering wheel, Lane Change warning and much more. This 550i is still covered under the remainder of the full BMW factory warranty and it drives even better than it looks. The massive 8 cylinder engine is strong and powerful and the automatic transmission shifts effortlessly through all of the gears. The steering is tight and precise and the brakes feel just great. All of the electronics work perfectly and the air conditioning is ice cold. This really is a fantastic BMW to drive. The interior is stunning. Mocha exclusive leather seats are in remarkable condition (see pictures) showing virtually no wear at all to any of the seats. The dashboard is like new (looks great with the full leather dash and factory navigation system) and even the carpets don't look or feel like they have been stepped on thanks to the BMW floor mats that have been protecting them. The exterior is what really sets this particular 550i apart from the rest. The Carbon Black Metallic (dark blue) paint is in fantastic condition (see pictures) with no major scratches or dings anywhere at all. The paint is still bright and shiny just like it was in 2016 when this 550i M-Sport was on the showroom floor at the BMW dealership. Add the optional M-Sport wheels mounted on great tires and this BMW really does look special. The 2016 BMW 550i really is the ultimate sport sedan. It has fantastic looks and performance, the x-Drive all wheel drive system for all weather and road conditions and all of BMW's legendary safety, luxury and reliability. 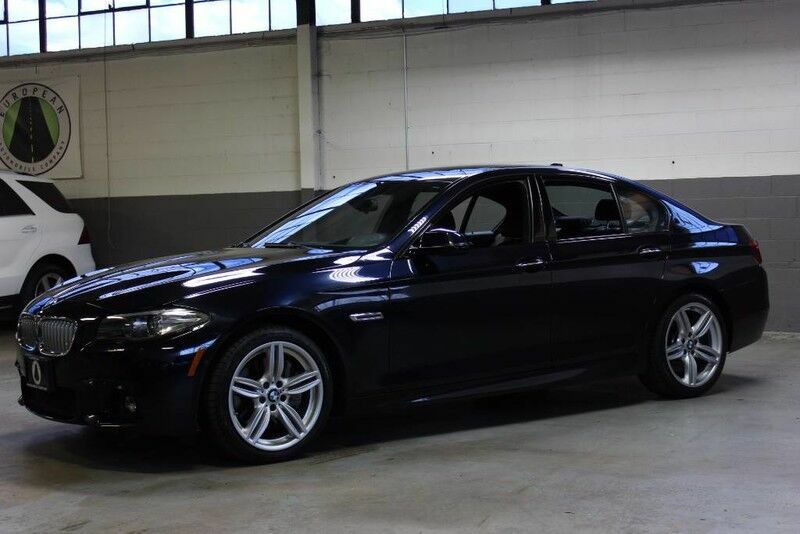 I have owned a lot of 5-series BMW's, but this one happens to look and drive as nice as any. The only real "apologies" to this 2016 BMW 550i x-Drive are a few typical nicks (see pictures) and wheel edge marks (see pictures) that are to be expected on any used car. Please feel free to call me (Matt 516-658-4048) with any additional questions you may have.